A new study claims a large percentage of people will probably be renting for their entire lifetime. A study by the ‘National Centre for Social Research’ of 8,000 people between 20 and 45 has shown nearly 50 percent of people believe they will be renting for their entire lives. Nearly 80 percent of people in that age group have not yet managed to get on the housing ladder. Statistics like these point to the UK becoming more like its European counterparts where renting is chosen over home ownership. Stress and Anxiety in the mortgage application process. Banks still not providing funding to first time buyers through various stringent clauses. Large deposits required, coupled with high rents, making saving money from pay very difficult or impossible. People worried that being declined for a mortgage will negatively effect their credit ratings, further hindering future applications. Worry about the stability of the housing market and interest rates. Less people entering as first time buyers negatively effects the entire housing market, people cannot move up the ladder without people purchasing their property. 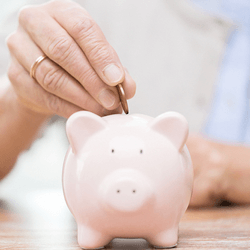 With no ‘bricks and mortar’ assets come retirement, people in ‘generation rent’ will have little investment for retirement – especially if pensions are overlooked as much as they currently are. More renters would result in a transient population, with nothing fixing them to one particular location for long periods of time – this would help job mobility, but negatively impact community relationships. The average age of a first time buyer, with no financial assistance/inheritance, is 52 in London, with the average amount spent £257,000. This buyer would have spent over £300,000 on rent until they purchased their home. The average age of a first time buyer in England overall is 37. This will creep up to 43 and more as the statistics suggest. In 2000, a first time buyer needed a 14% deposit, around £10,000 – This year, 2011, they would require £30,000 – 21%. This is due to banks requiring a lower loan to value, as well as the average price of property having increased.